Dreams and Drama: "I've Got More Inside of Me"
A brother sold into slavery. A slave who faced trials and temptation around every corner. A prisoner innocent of any crime. A wise man, full of integrity, who was elevated to a position of great influence amongst even his enemies. This is the story of Joseph. Few have endured the challenges that he faced and were able to rise above them. 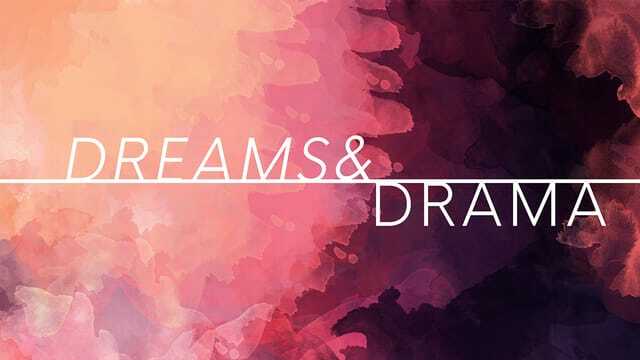 Join us at Kfirst for our new series “Dreams and Drama” and see how God's faithfulness in the midst of Joseph's hardships gave him the strength to overcome! Our character is an essential attribute to measure the health of our relationship with the Lord. The quality of your character should match the level of your calling. What God placed within you is greater than what you face around you. Temptation is at its highest when you are at your lowest. Sin dwells at the intersection of desire and opportunity. Put the life of Christ into action BEFORE the times of temptation. Stop living life with the safety on; Activate your walk with Christ. Giving to Kfirst supports the ministries of Kfirst as well as over 50 missionaries all over the world. Kingdom Builders is our generous giving and is the second way to give. Giving to Kingdom Builders expands missions by partnering with missional organizations and positioning the local Church for growth. Giving to Kfirst and Kingdom Builders is simple and secure! Visit the link or text a dollar amount (ex: $5) to 84321.